Georgia Regents University will host the 3rd Anacapa Society Conference on Dec. 13-15. The conference kicks off with a dinner and keynote address. The conference keynote speaker will be Dr. Charles Hanna, Chairman and Professor of Physics at Boise State University. He will discuss “Adventures in Growing a Physics Department” on Friday, Dec. 13, at 7 p.m. in The Towers in Washington Hall on the Summerville Campus. Hanna received his doctorate in physics in condensed-matter theory from Stanford University, where he carried out research on anyon superconductivity. He served as Associate Physics Department Chairman for Strategic Planning from 2001-2009, and as department chairman since 2009. While he remains primarily focused on working with undergraduates in carrying his research, Hanna was also a co-founder of the interdisciplinary doctoral program in Biomolecular Sciences at Boise State. This is a novel collaborative program between the departments of Biology, Chemistry, and Physics. 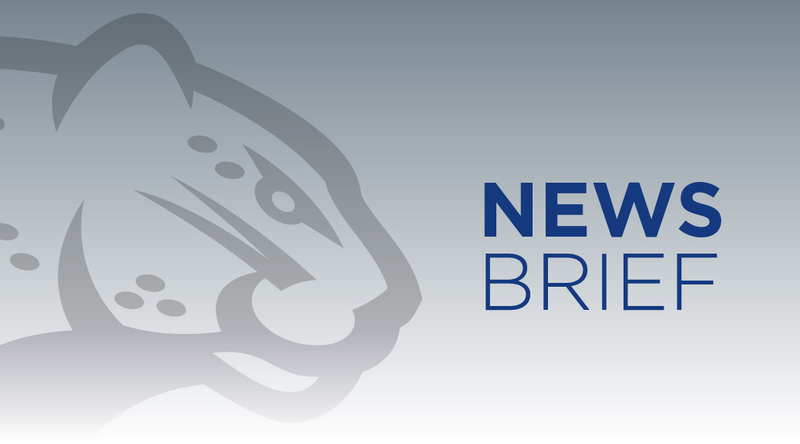 This national conference provides theoretical physicists, who work in primarily undergraduate institutions and departments across the nation, an opportunity to present their research and discuss issues related to theoretical physics. Registration is $20 and may be paid in cash during check-in at the registration desk. The registration desk will be open prior to the dinner, from 6-7 p.m., on Friday, Dec. 13; from 8-9 a.m. on Saturday, Dec. 14, and Sunday, Dec. 15. If you bring a guest, there is an additional cost of $16 for the Friday dinner and $9 for the Saturday lunch. Dr. Trinanjan Datta, Associate Professor of Physics, presented an invited talk at the 12th International Conference on Condensed Matter Theory and Computational Materials Science held at Sun Yat-Sen University, Guangzhou, China. He discussed his research work on spintronics carried out in collaboration with Professor Daoxin Yao and his research group. Datta, who has been visiting Sun Yat-Sen University as a research scholar, highlighted the importance of spin and spatial anisotropy in quantum magnets. Click here to view the published version of the work. In addition, he has also published a paper, co-authored with undergraduate GRU physics major Simeon Hanks, on the one-fifth depleted Ising model. The work predicts the critical temperature at which this novel magnetic model may lose or retain its magnetism. Click here to link to the publication. Simeon Hanks, junior physics major, won the award for outstanding research presentation at the American Physical Society (APS) March Meeting held in Baltimore, Md. Hanks presented his research on the High temperature series expansion and the exact solution study of the 1/5 depleted square lattice Ising model. The work was done in collaboration with Professor Jaan Oitmaa from the University of New South Wales located in Sydney, Australia. Through his work, Hanks was able to predict the critical magnetic transition temperature of the depleted lattice using both an exact solution and a high temperature series expansion. “I’d like to thank Dr. Datta for his continued support of my research, the Savannah River Scholarship Program for its funding, and GRU for the resources to facilitate our work,” said Hanks. He is also the recipient of the Department of Chemistry and Physics 2013 Best Undergraduate Research in Physics award and the American Physical Society Future of Physics Day Travel award. “Through his hard work, dedication, careful attention to detail and strong computer programming skills, Simeon has obtained new and noteworthy results. He is truly deserving of this best undergraduate research presentation award,” said Trinanjan Datta, Assistant Professor of Physics. 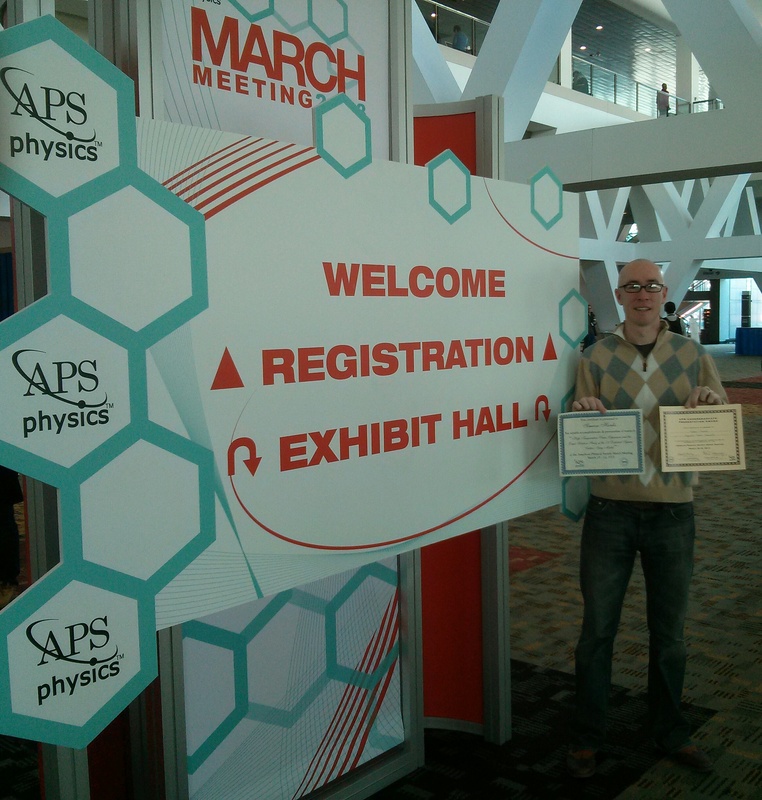 The APS March Meeting is the largest physics meeting in the world, highlighting physics research from industry, universities, and major labs across the world. In addition to cutting-edge research in the condensed matter community, the meeting also presents an opportunity for undergraduate students to showcase their novel research findings. Dr. Trinanjan Datta, Assistant Professor of Physics, recently published Spin transport in the Neel and collinear antiferromagnetic phase of the two dimensional spatial and spin anisotropic Heisenberg model on a square lattice in the February 2013 issue of European Physical Journal B. The work was done in collaboration with undergraduate research student Zewei Chen and Dr. Dao-Xin Yao of Professor at Sun Yat-sen University in Guangzhou, China. 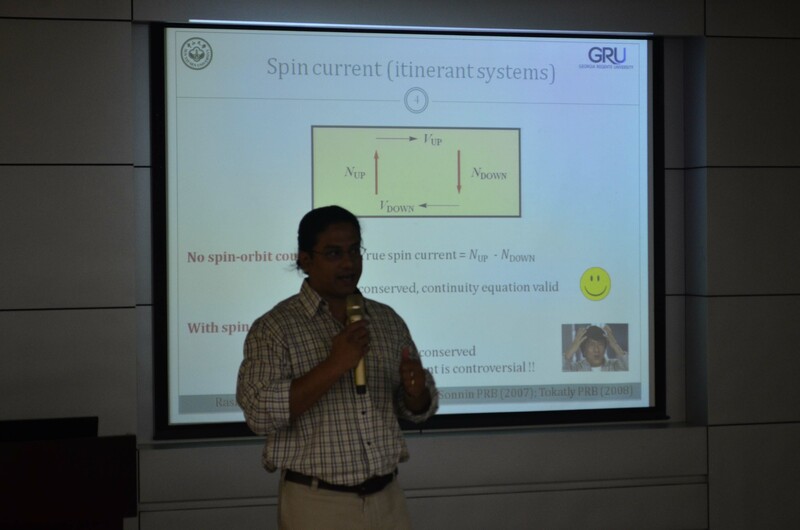 During the summer of 2012, Dr. Datta was invited to and visited the physics department of Sun Yat-sen University to engage in collaborative research work on spintronics and frustrated quantum magnets. The result of that effort is the research article that predicts that spatially anisotropic magnets are better spin conductors. Such theoretical predictions on magnetic compounds guide material scientists to fabricate novel magnetic devices for modern day technological purposes. Dr. Datta gratefully acknowledges the invitation, kind hospitality, and research funding support from Sun Yat-sen University and Fundamental Research Funds for the Central Universities (China), Cottrell Research Corporation Grant # 20073, and the GRU College of Science and Mathematics for partial funding support. The Department of Communications professors Dr. Pamela Hayward, Dr. Edgar Johnson, Dr. Gaye Ortiz, and Rick Pukis, along with Communications Studies student Sylvia Allen, presented papers at the Georgia Communication Association conference in Dalton, Ga, last week.